Seventy-two years ago today American, British, Canadian, and Free French forces landed on the beaches of France on the Normandy Peninsula to begin the liberation of Europe. I have written a good number of articles about the invasion on this site, in fact you can look them up, but instead of editing an older article or looking at some aspect of the invasion that I haven’t before I wanted to share a few thoughts. This past week, beginning during the Memorial Day weekend I spent a lot of time doing reading and reflection. I also decided to watch a number of films, and series that dealt with D-Day and the fight to liberate Europe from the Nazis. I have been to Normandy, in fact I have actually taught there at Sainte Mere Eglise and Pont du Hoc just prior to the 60th anniversary of D-Day. For me it was a moving experience to stand in those locations where so many men contended against the military forces of a regime so evil that it defies the imagination. As I said, in addition to reading and reflecting I took time to watch some films, as well as a television mini-series that dealt with that time in history. I watched the film A Bridge too Far on Memorial Day and then began to watch the ten episodes of the series Band of Brothers. When I was done with those last night I watched the film the Longest Day. I thought about watching Saving Private Ryan, but every time I watch that film I am so overcome with emotion that it is hard to function the next day. 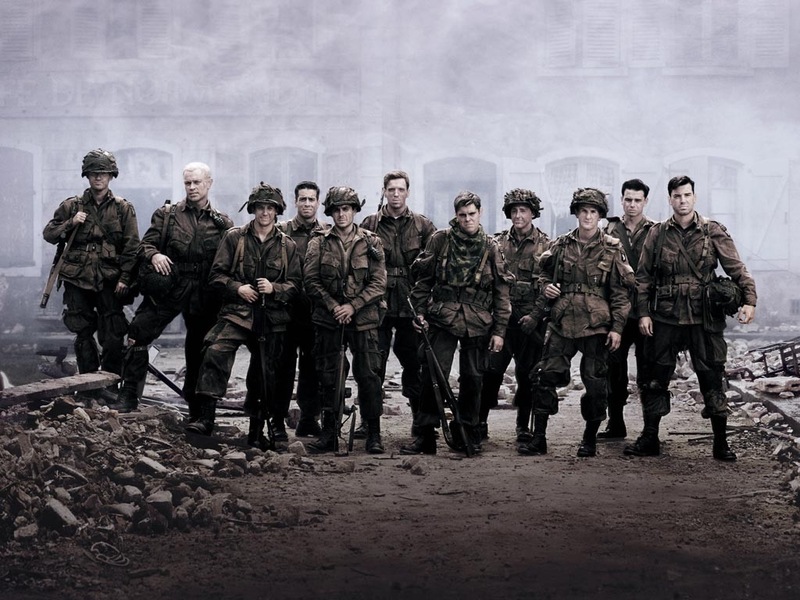 Anyway, this was the first time that I have watched all ten episodes of Band of Brothers in order in a short period of time. I was glad that I did it that way. As I watched it I thought of my own service and those men who have been my “band of brothers” be it in Iraq, or on a boarding team in the Persian Gulf. There is something about serivice in a combat zone and in harm’s way which cannot be replicated in any other part of life. The series really captures the constant wear and tear on the human mind, body, and spirit when one goes to war. It captures the bonds that most people today never experience. 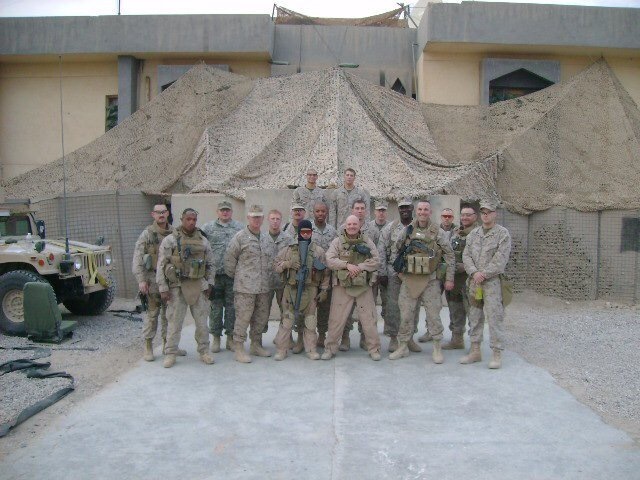 There were quite a few times where I knew exactly what they were going through, what they were thinking, and what they felt; including the paradoxes of seeing the evil committed by some, but also of recognizing that many of the enemy soldiers were really not that different from us. Today we remember that ever shrinking number of men who landed on the beaches of Normandy, fought their way across France, Belgium, and Holland before driving into Hitler’s Germany. I have had the great honor of knowing a number of those men, and even burying one of the men who served in the unit immortalized in Band of Brothers. In this time when so many have never served in the military in any form, and even fewer who have served in combat, it is important not to forget their memory, nor those who have served in subsequent wars. There was a segment of one of the Band of Brothers episodes where one of the soldiers was reflecting on how distant the war was to many Americans by New Year’s Day 1945, even though the men were fighting and dying to repel the Germans after the Ardennes Offensive, which we now call the Battle of the Bulge and others were fighting and dying against the Japanese in the Pacific. Those men wondered what it would be like to return home after the war, among a people who didn’t understand. It was a question that many of us asked when we came home from Iraq, and others did coming home from Korea, Vietnam, or Afghanistan. The men of the Band of Brothers had the same kind of issues coming home as we do today, some dealt with them better than others, just like today. But the way changed them all and it also bound them to each other. We, we happy few, we band of brothers.